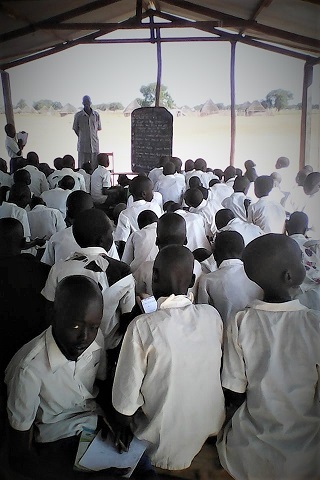 As Americans prepare for the busy holiday season, the Sudanese 8th graders at Future Generation Primary School and Manute Bol School prepare to take their national exams. We currently fund the daily meal program along with the teacher and staff salaries of both schools. We are so proud of the 8th graders and their hard work in preparing and taking the exams! We are so thankful for the teachers and staff for their dedication and guidance in educating the next generation! Left: 8th graders from Manute Bol School take their national exam under a tent. 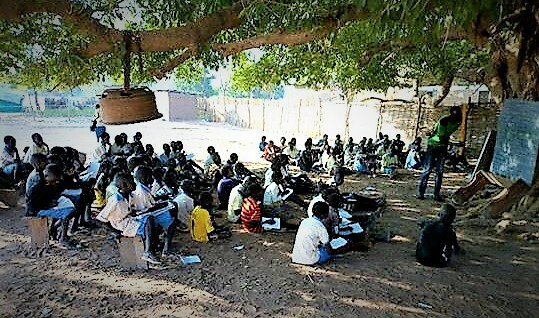 Right: 8th graders from Future Generations Primary School take their national exam under a big, shady tree. ← Bishop Abraham Nhial Visits!